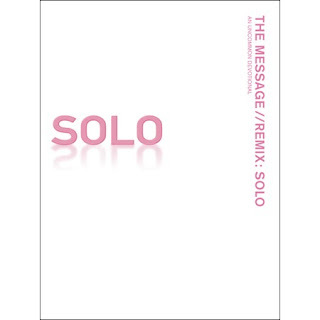 NavPress' The Message Remix Solo: Pink Edition, a Christian retail channel exclusive Bible offering encouragement to women with breast cancer, has sold out of its first print run and is headed back to press-one month before the devotional Bible's scheduled street date. The pink-accented Bible with The Message text--which retails for $17.99--releases Sept. 15 to coincide with October's National Breast Cancer Awareness Month. NavPress is donating a portion of profits to breast cancer research. "We are thrilled with this positive response to the Pink Edition," said NavPress President Mike Miller. "NavPress has been impacted in a personal way by breast cancer, so this cause is very important to us." Meanwhile, the publisher is partnering with former major league pitcher Dave Dravecky's Outreach of Hope ministry in the fight against breast cancer by participating in an exclusive program only for Christian stores. NavPress' Solo Pink Project includes blank book plates that retailers can make available for customers on which to write a message of encouragement for someone battling cancer. The notes will then be placed inside special editions of The Message of Hope booklet to be given away. Dravecky, who survived bone cancer that ended his baseball career, will help distribute the booklets. "We are excited to be able to partner with NavPress in distributing ... the handwritten notes on the bookplates to those suffering with serious illness," he said. "We hope and pray the Solo Pink Project will draw everyone it touches closer to the heart of God in the midst of their journey." Ahhh, I love it! Obviously, I am a huge pink ribbon fan, and a sucker for anything with a pink ribbon on it! Can't wait to get mine.